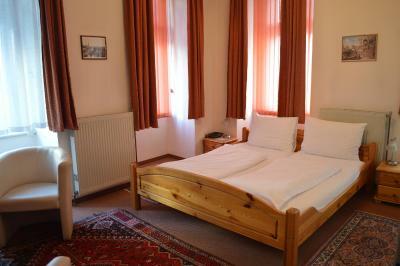 Lock in a great price for Pension Walzerstadt – rated 8.1 by recent guests! 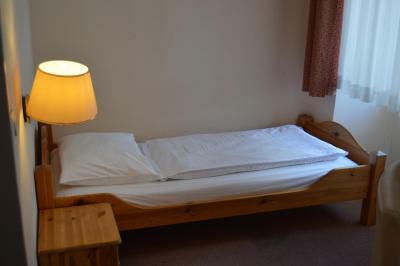 Everything was great, the staff was very helpful and location was great, there is a Tramway in front that takes you to the center and the metro is 9 min walking. 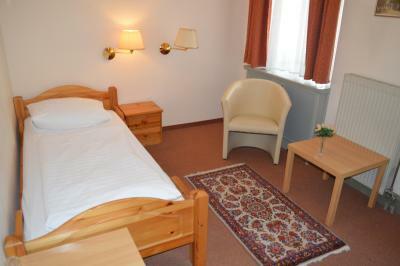 Room was big and comfortable, internet was working very fast. There is a bar in front of the place which has great food and screen to watch games and a kebab place also crossing the street. Excellent value for money. Modest hotel that was clean and functional. Fairly good location. ~1 mile to city center. Very good attitude of the staff. They were very friendly and helpful in everything all along my staying. I had a very small issue with the bathroom heater, but they fixed it immediately. Actually, I could enjoy a very warm room during some pretty cold february days. The place is nice, cosy and quiet. 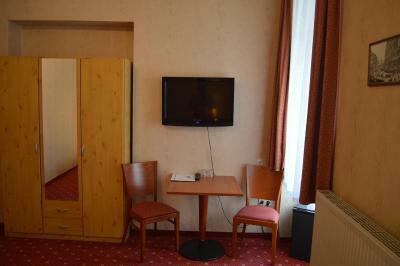 I had a quiet room, with view to inner patio. Wifi worked very good. Plenty of places to eat/have dinner/coffee and supermarket around. 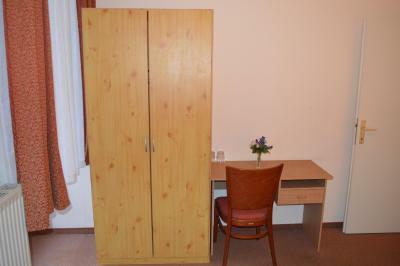 Great location near the main attractions in Wien!! The hotel was great. The staff was excellent, friendly and very helpful--they couldn't have been better. The location was great, especially for museum visiting--out the door, make a right------at the end of the street, make a left and follow the tram tracks. Perfect directions!!! 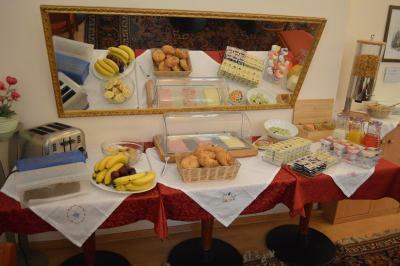 I paid 7 euro for the breakfast and was very pleased with the meal. I was given a quiet room facing the courtyard. I would highly recommend this hotel. Location, value, friendly and helpful staff, couldn't be beat. 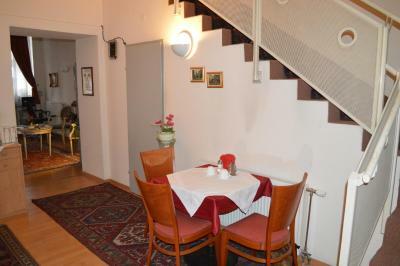 The location was very good: next to the pedestrian street, and within walking distance to the city center. Also got useful tips at check-in. The staff was very friendly and helpful. They introduced us to the other Americans staying there. Location was great! 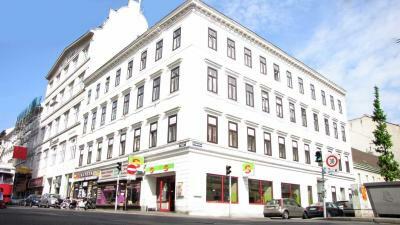 It was on the tram line and within easy walking of downtown and the Westbahnhof. 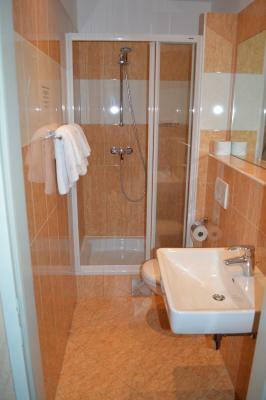 Bathroom was clean and modern. Lots of hot water. Beds were great. People were friendly and it is convenient to subway system. Made it easy to get around the city. You could buy a breakfast but thought it was over priced. The location is pretty good. There are many restaurants and pubs closed to the hotel. It may be a good choice for youngsters. The breakfast costs 7€, it's very basic (and really bad coffee), but at least you can fill your stomach. 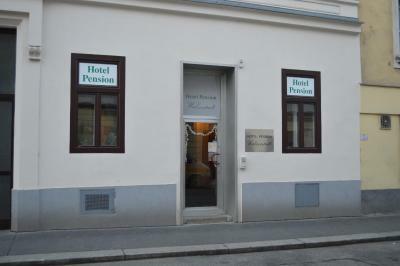 Pension Walzerstadt This rating is a reflection of how the property compares to the industry standard when it comes to price, facilities and services available. It's based on a self-evaluation by the property. Use this rating to help choose your stay! 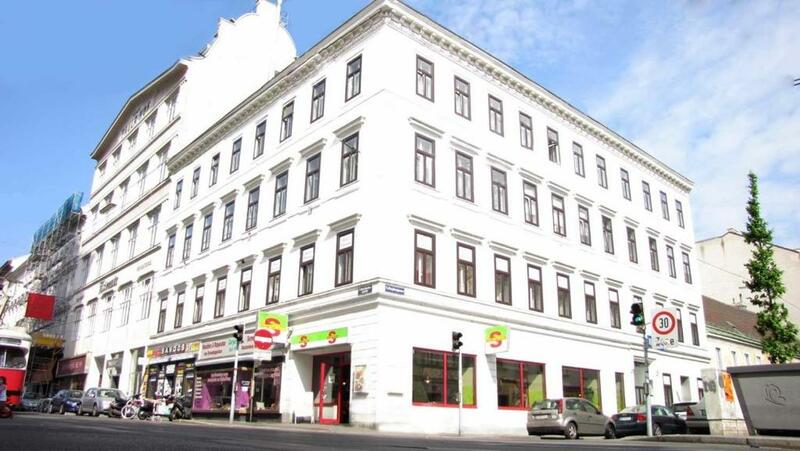 Located a few steps from Vienna’s Mariahilfer Straße shopping street, Pension Walzerstadt is only 1,650 feet from the Zieglergasse Underground Station and 50 feet from Tram 49. 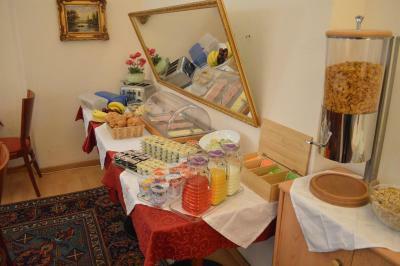 It offers free Wi-Fi access and a breakfast buffet. 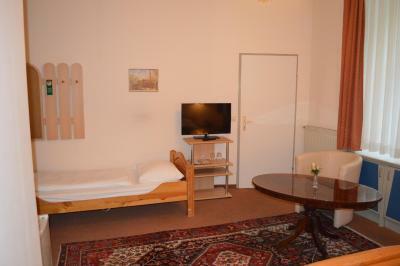 Rooms at the Walzerstadt have satellite TV, a bathroom with a hairdryer, and a mini-bar. 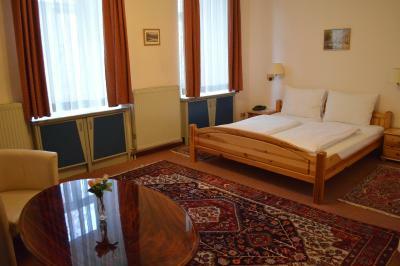 The Westbahnhof Train Station is 2,950 feet away, and many restaurants and pubs are within a 5-minute walk. The famous St. Stephen’s Cathedral in Vienna’s first district can be reached within 4 subway stops. 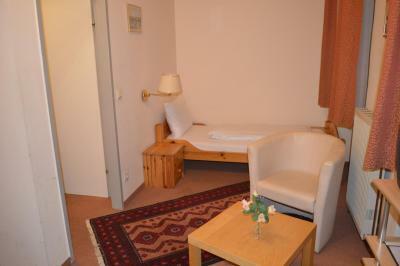 When would you like to stay at Pension Walzerstadt? These rooms have satellite TV, free WiFi, a bathroom with a hairdryer, and a mini-bar. House Rules Pension Walzerstadt takes special requests – add in the next step! Pension Walzerstadt accepts these cards and reserves the right to temporarily hold an amount prior to arrival. Please note that the reception is open from 07:00 to 11:00 and from 15:00 to 18:00. If you arrive outside reception opening hours, please contact the property in advance to arrange check-in. 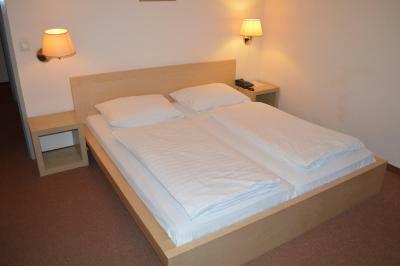 Please note that if you book more than 4 rooms, different cancelation/payment policies will apply. Please inform Pension Walzerstadt of your expected arrival time in advance. You can use the Special Requests box when booking, or contact the property directly using the contact details in your confirmation. Even if I asked to change only one little towel, during Easter days nobody changed it. Maybe there wasn't a cleaning lady. That's not a problem, but I believe it's correct to informe customers in that case. Reception's hospitality was fantastic! The day before departure, we were contacted by whatsapp to know the time of our arrival and to give us suggests to reach the hotel. Man was very delightful, he said us everything important to visit in Wien and the simplest way to reach the city center from the hotel. He suggested us many things to do and to see. He gave us a city map with all his advices. Nothing in particular to raise fault with. Good location in good proximity to Tram line. 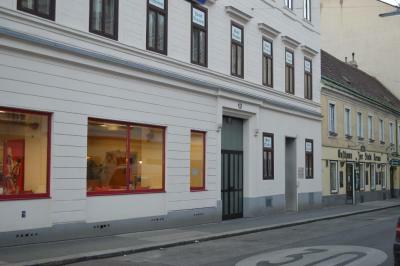 Easy to get to central Vienna and many good bars and restaurants close by. Friendly staff and good facilities. Excellent hotel. Very simple but more 5han I 3xpected for the price. 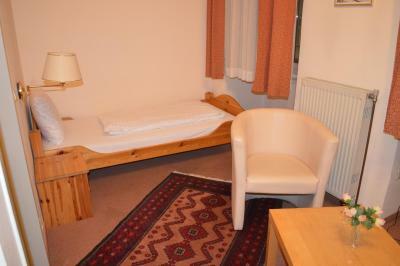 Easy access, WiFi was fine and bedroom very comfortable. There's no elevator, and the rooms are at the first floor. There are some steep steps to get there which didn't make a problem to me, but it could be an issue for someone older. 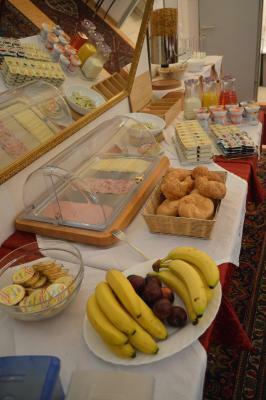 Breakfast was modest, but it had everything a person could need, so I was satisfied. Staff members were helpful and OK. All in all - I'll probably stay there again. There was not too much light in the bathroom, at the mirror, but it wasn´t something critical. The TV is placed too high, in my opinion, and it is not very confortable to watch, even though I only spent approx 30 mins a day, watching the news. The location was excellent and the staff was very nice. 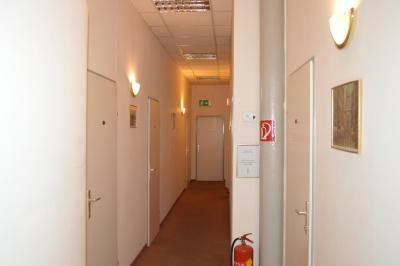 The room and the hotel's exit door could be opened with the same classical key. It's a little bit strange for me. The safety box uses a simple key. There were people smoking in the foaye and it was hard to see because of the smoke. It was good for that price. The staff were very polite. It was warm in the room, which was great since it was very cold outside. The only thing I could remark here is that in my bathroom there was a boiler that supplied hot water for more rooms, not only mine. So every time that some room opened the hot water tap, the boiler began to work and it was a little bit noisy. But apart from that, everything was perfect. 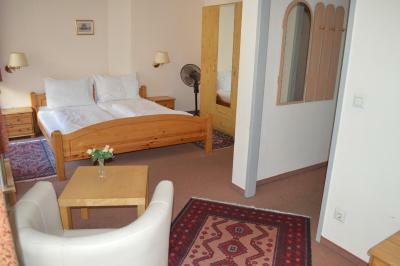 Even though this hotel is almost 30 minutes away on foot from the city centre, is situated in a very nice area. Just 5 minutes away, you can find Neubaugasse, a very long street full of shops, restaurants and an underground stop (Zieglergasse) that goes to the city centre. 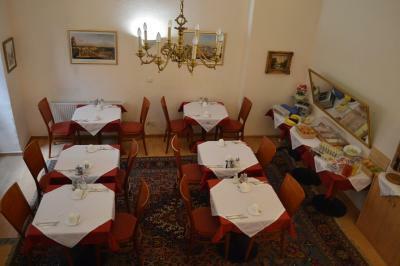 This accomation has two buildings with plenty of rooms and a dining area where they served breakfast (additional price of 5 euros). My room was big for a single room and very clean. 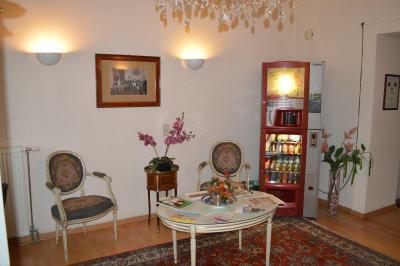 It also had a small fridge, a table with a chair, tv and free wifi service (very nice and fast one, to be honest). The heating could not be controlled but the room was never cold at all. 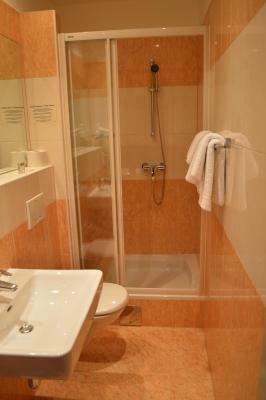 There was also a private bathroom, which was quite spaciuos and clean. The reception is open almost 24 hours and the staff was really friendly and helpful. Before my arrival, they contacted me and explained how to get to the hotel from the airport. That was really nice of them and I really appreciate that because it shows that they really care about their clients. 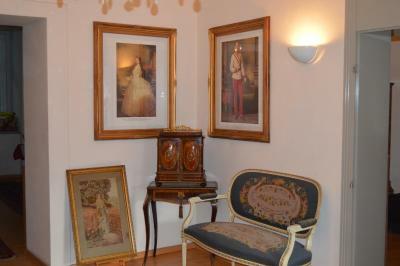 Location,staffs,facilities all perfect and price very good. 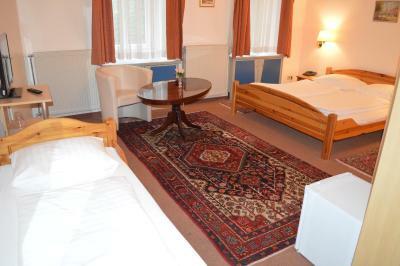 Very kind staffs, room clean, train front of Hotel just 8 minutes to old town, even walk distance less then 20 minutes.